"I am fascinated with figuring out how things work." 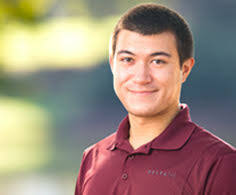 Charles Getz, Associate Engineer, began his career at DELTA |v| in 2016 after earning his Bachelor’s degree in Mechanical Engineering with a minor in Graphics from N.C. State University. Charles brings a great deal of knowledge and a strong work ethic to the table. His work days consist of creating impeccable reconstruction analyses, seamlessly assisting senior engineers with field work and file review, and carefully preparing CAD drawings for depositions. Senior engineers and clients rely on Charles and his stellar work to efficiently resolve their motor vehicle matters. Charles held various positions in college that taught him new things in their own unique way. He worked as a machine operator at a waterjet fabrication business, where he learned how to solve mechanical issues outside of the classroom. He taught kids how to drive race cars at a summer camp, where he honed in on his auto mechanics skills, and patience. As an intern with the N.C. Department of Transportation Rail Division he worked alongside the engineering staff to prepare CAD drawings and put together car refurbishment documentation. This internship taught him the valuable lesson of how to effectively collaborate with coworkers. In his spare time Charles enjoys blazing a trail by hiking, snowboarding, or winding his 1973 Datsun 240z down a curvy road.